An enzyme based detergent produced by non-pathogenic bacteria designed to break down protein oils such as sweat, blood, proteins and fungi. It also destroys the food source of pathogenic bacteria such as staphylococcus. 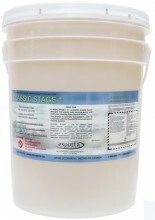 This product hooks up to Pump #1 on the Esporta Wash System.